United Kingdom based, MRL was founded in 1997 and develops mycology (mushroom nutrition) and non-mycology products as dietary supplements or \"functional foods\". MRL utilises proprietary Japanese production technology to cultivate selected strains of the different mushrooms in California. The strains have been selected for their overall bioactivity and for their stability (purity). The cultivation process is in accordance with the California Organic Food Act of 1990. These mushroom nutrition products are not extracts, but instead contain both the mycelium and primordia (young fruitbody) of the mushroom cultivated into a biomass on an edible, sterile (autoclaved substrate). The cultivation process ensures that the biomass is free from contamination by other fungi or bacteria and that heavy metals (pesticides) are not present. Following cultivation, the biomass is dried, powdered and tableted to food grade Good Manufacturing Practice (GMP) standards. MRL Ltd.´s Innonotus obliquus (Chaga) powder contains both mycelium and primordia (young fruit body) cultivated into a biomass that is grown on a sterilised (autoclaved) substrate. Contains both mycelium and primordia (young fruit body) cultivated into a biomass that is grown on a sterilised (autoclaved) substrate. While MRL Ltd.´s Grifola frondosa is not an extract of Grifola frondosa, the powder does contain's both mycelium and primordia (young fruit body) cultivated into a biomass that is grown on a sterilised (autoclaved) substrate. The Maitake-MRL biomass contains mycelium and primordia (young fruiting body) of the respective mushroom. For each mushroom, clinical studies, references and enzyme analysis are provided along with contra-indications. While primarily from a TCM viewpoint, over fifty-percent of the references and clinical studies are from a non-TCM viewpoint, thereby providing practitioners a holistic viewpoint on each mushroom. MRL Ltd.´s Pleurotus ostreatus powder contains both mycelium and primordia (young fruit body) cultivated into a biomass that is grown on a sterilised (autoclaved) substrate. The fungal biomass Pleurotus ostreatus that comprises Pleurotus-MRL is certified 100% Organic in the United States by Quality Assurance International (Certificate No. 103491-A). Polyporus-MRL is derived from a master strain of Polyporus umbellatus . The powder contains both mycelium and primordia (young fruit body) cultivated into a biomass that is grown on a sterilised (autoclaved) substrate. 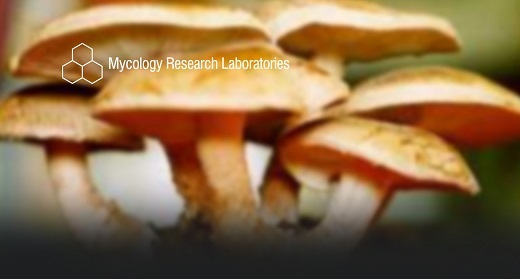 Mycology Research Laboratories Polyporus umbellatus powder contains both mycelium and primordia (young fruit body). While MRL Ltd.s Ganoderma lucidium powder is not an extract of Ganoderma lucidium, the powder does contains both mycelium and primordia (young fruit body) cultivated into a biomass that is grown on a sterilised (autoclaved) substrate. MRL Ltd.s Lentinula edodes powder contains both mycelium and primordia (young fruit body) cultivated into a biomass that is grown on a sterilised (autoclaved) substrate. MRL Ltd.´s Triton-MRL powder contains both mycelium and primordia (young fruit body) of Ganoderma lucidium, Cordyceps sinensis and Lentinula edodes.